Above the jagged skyline of Hong Kong, the silhouette of a mountain range looms large. Its ridges are home to any number of hiking trails that make the din of the city seems like a distant memory. But these rolling hills appeared, until recently, to be available only to those who were able to scale them on foot. Andrew Lo, 21, is a wheelchair user who turned to the city’s country parks in search of an escape from the metropolis. 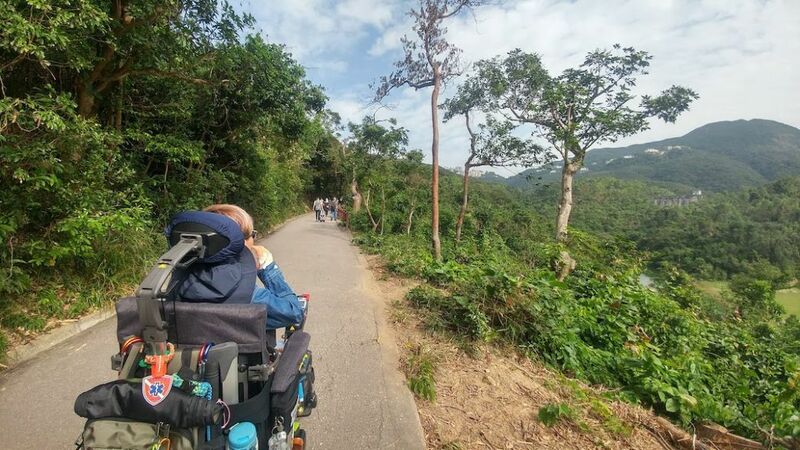 He went on his first hike from Kam Tin to Tsing Tam in 2017 as part of a trip organised by local NGOs, and has since urged others with mobility issues to take up the pastime in spite of their preconceptions about accessibility. Hiking has recently gained momentum in the wheelchair community with the launch of the Accessible Trails Project from the mobile app TrailWatch, an exhaustive guide to the city’s best hiking spots. The brainchild of Teddy Law, founder of the popular hiking website Oasistrek, the project aims to provide up-to-date information on accessible trails. Most recently, it introduced five new wheelchair-accessible routes last month. In it, users can tap to view accessible trails with flat paths, suitable for wheelchair users, and plan their routes accordingly. 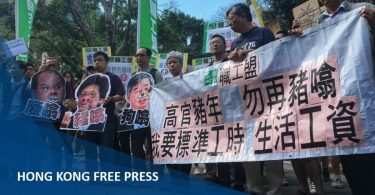 Law told HKFP he came across the problem when a number of wheelchair users emailed him a few years ago asking about accessible trails in Hong Kong. But he drew a blank, and realised there was scant information available to the public on the topic. “They have the need for hiking but they couldn’t find such information. 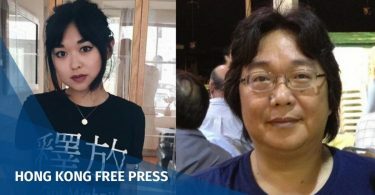 That’s when I made up my mind,” he told HKFP. TrailWatch began five years ago as an app to encourage locals to experience Hong Kong’s country parks. It has since grown into a platform where users can monitor the condition of trails, including a function to log incidents such as fly-tipping or illegal logging, along with a photograph in real-time, to report to the government. 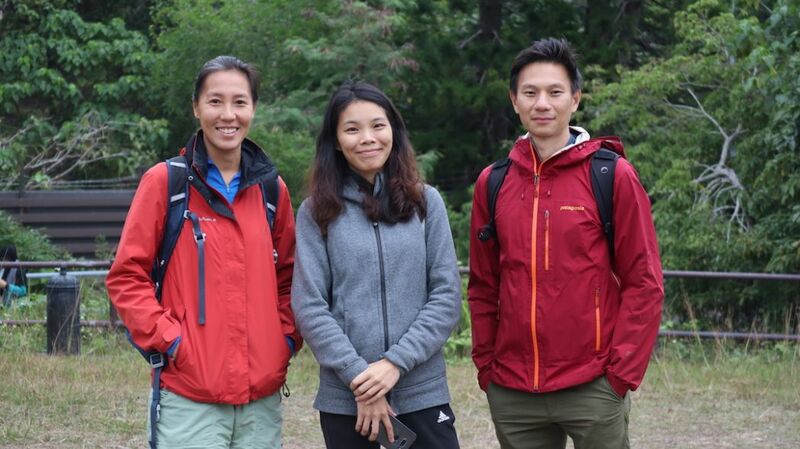 Fiona Ching, project director of TrailWatch (left), Sarah Chu, founder of Wheel Power Challenge (centre), Teddy Law, founder of Oasistrek (right). Photo: TrailWatch. Ching explained that TrailWatch also identifies places on hiking trails where accessibility can be improved, and takes them up with the government. “We’ve observed bits with one or two steps, which is not convenient for wheelchair users, but they are easy to fix things. So if the government can just make the ramp or remove those one or two steps they would be accessible trails,” she said. Although heavily urbanised in parts, around three-quarters of Hong Kong is the countryside, with its protected parks attracting over 11.2 million visitors in 2014, according to the Agriculture, Fisheries and Conservation Department. Chu added that using TrailWatch, hikers are also able to report when a trail does not have wheelchair accessible toilets.